October 2015, saw the beginning of a highly anticipated partnership between Association of Media Women in Kenya (AMWIK) and the Communication for Development Network (C4D Network). 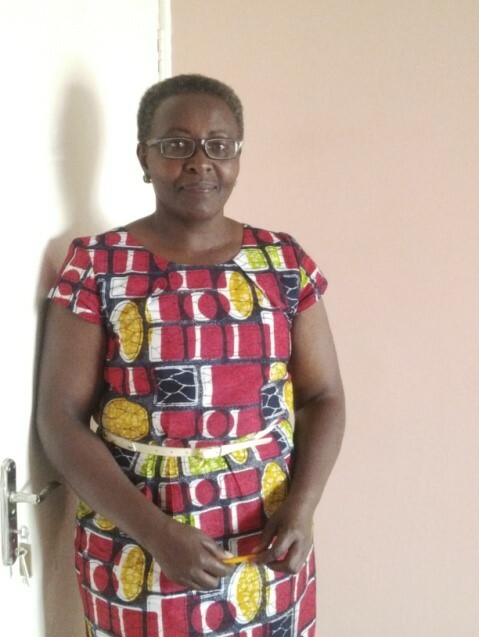 AMWIK’s Nairobi office is now home to the Network’s new East-African Regional Hub: the coordinating point for C4D Network membership, events and projects in Kenya, Tanzania and Uganda, led by Regional Co-ordinator Christine Ndung’u. Christine has a BA in Communications; PR & Marketing Minor. She is currently pursuing a higher diploma in Project Management at the Kenya Institute of Management-Nairobi. She is also a certified Trainer of Trainers (ToT) and has facilitated meetings in East and West Africa on themes revolving around Good Governance, Leadership, Campaign against Negative Ethnicity and Youth in Politics. Christine is part of the C4D Network because she is passionate about communications and believes that it’s the only way to make a positive difference if done effectively. AMWIK is supporting Christine with resources to help establish the East African Hub. Being hosted at the AWMIK offices also provides a platform for experience and idea sharing. AMWIK is a national media Association established in 1983 and registered under the Societies Act as a non-profit membership organization for women journalists and communicators. AMWIK’s membership comprises female employees of various media houses, public relations professionals, independent content producers, students of journalism and communication and employees of non-governmental organizations and other institutions who have a background study in communication. AMWIK set up its secretariat in 2002 under the supervision of its’ current Chairperson Pamela Mburia, who was then, the Executive Director. Pamela had been associated with AMWIK from its inception, but it was in 2002 that she formally joined AMWIK as an employee. Her role was to set-up a secretariat and put up a system for operations. At that time, AMWIK had received funding to train women who were aspiring for elective positions. Due to this, it was imperative for AMWIK to re-organise itself and have permanent structures. The project on capacity building for women in leadership was a launch pad for AMWIK. The association realized that they needed to have sustainable programs not only to maintain the secretariat, but also grow its membership, keep the members interested and actively involved. Today, AMWIK recognizes that gender inequality and inequity undermines development. Thus, AMWIK particularly focuses on enhancing the visibility of women in the society and promoting their participation in leadership and decision-making. The capacity building programmes are further aimed at promoting women’s participation in public policy and decision-making. The training is designed to help the groups understand how media operates, know how to package themselves to attract media coverage and further understand how to engage with various media platforms to communicate their agenda to the public. AMWIK is able to carry out its objectives through harnessing the skills and competencies of its over 300 subscribed members and further maintaining favourable relations with both electronic and print media. AMWIK further embraces networking with other organizations to foster collaboration around issues of media strengthening, gender and governance, peace and human rights, gender based violence, HIV/AIDS and sexual reproductive health among others. AMWIK’s established presence in Kenya is a great base for the C4D Network to begin its work across the East African region. Pamela is excited to work closely with the C4D Network Coordinator, Christine Ndung’u. She sees this collaboration as an opportunity to create a synergy that will enhance the impact of communications for development, by using platforms and tools that will enable the target audience to better understand issues and therefore be part of development in their communities. Access to information is the change that will bring about positive growth, not only to individuals, but the society as a whole. Communication, more so, the media is a powerful tool for social change and agenda setting, which can be used to create public awareness around key issues. These tools include radio, television, community radio listening group sessions, newsletters, magazines and social media. This collaboration therefore seeks to raise the bar on how communication is perceived and used so that we can achieve the growth we desire for humanity.